When we teach children to love, honor and respect the rivers and streams that lead down to great bays and the sea we have taken them on a journey to save the Earth. The message is often lost in the abundant activities crammed into an annual vacation adventure. Music has the power to get the message to the children and travel with them for years to come. A song of preservation and appreciation that is fun to sing will be remembered long into ice encrusted winters. 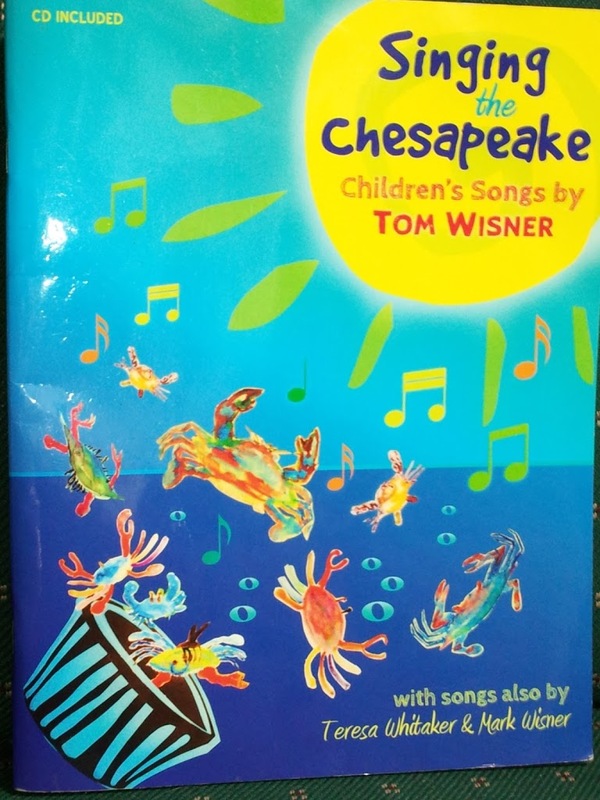 Published in 2012 the “Singing the Chesapeake” collection by the late Tom Wisner is a voice for the waters and a tool for enjoyment of environmental studies. It is best said in this quote from the introduction page in the book. Here is a collection of Tom’s most powerful sentiments and testimony to Chesapeake Bay conservation and care. No need to limit our thoughts to one bay, these inspirations teach the lessons relevant to all bodies of water. Tom Wisner’s dedication to the Chesapeake and waterways is alive and well in the music he wrote and performed. It is his legacy of music entrusted to his close friends Teresa Whitaker and Frank Schwartz that is presented in this booklet and accompanying CD. Music, lyrics, background information and an audio track make this a complete teaching tool. Do not limit yourself to the pages and echoing voice of Tom Wisner though, this music is available in live performance by Teresa and Frank. www.frankandteresa.net will link you to their music and story filled world. 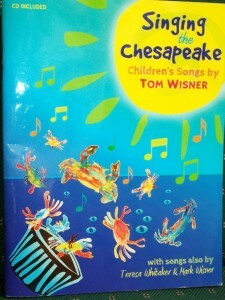 I’m loving “Singing the Chesapeake” featuring songs by Tom Wisner For Children of all ages. 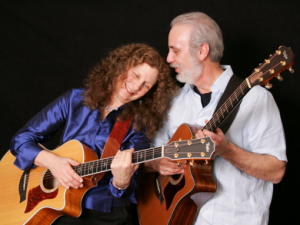 Additional songs by Teresa Whitaker and Mark Wisner. You are going to love it too!